I can only take credit for a portion of this recipe - and that portion is combining everything together. The smoked ribs and baked beans were left overs from a fun-tastic family gathering this spring. The food spread was amazing - it included the smoked ribs and baked beans, along with chips and dips, salads, corn on the cob, and of course - lots of laughter. This meal came together somewhat out of creativity and somewhat out of laziness. Meals that come together like this always make me smile because I don't have to run to the store, and I still had a mighty tasty meal. Basically, it's a lazy Sunday afternoon and I haven't had lunch yet. Even though food is on my mind a lot, I don't have a plan for the menu every day. So, when I run into left overs, unused tortillas and mozzarella cheese, I have found myself a good lunch. This recipe isn't anything exact because it really depends what you have in your fridge. 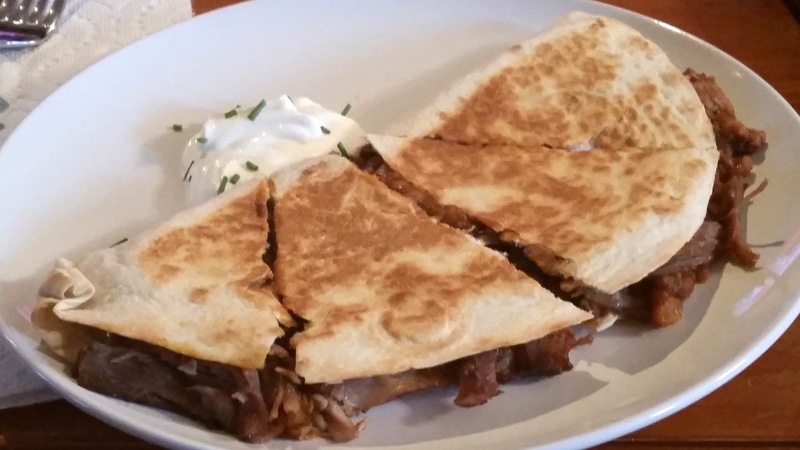 Think of this recipe as the meat that you have, a bean or sauce and cheese and you can have your left over quesadillas. Heat non-stick skillet over medium heat. 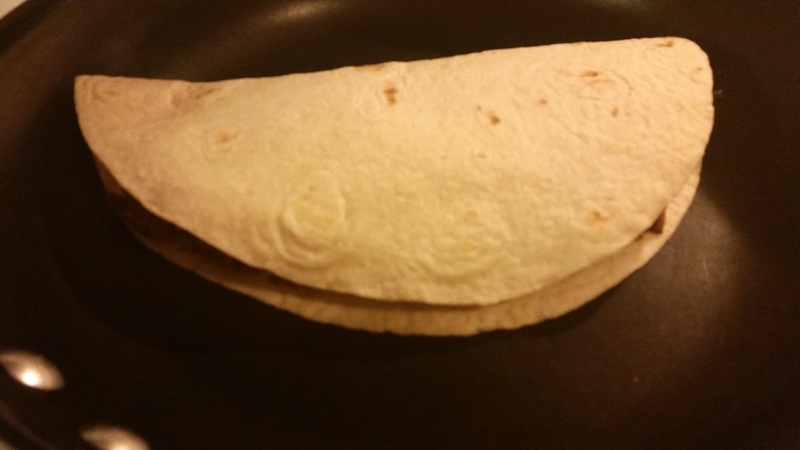 Place the meat, beans and cheese on one half of the tortilla shell and fold the other half over. 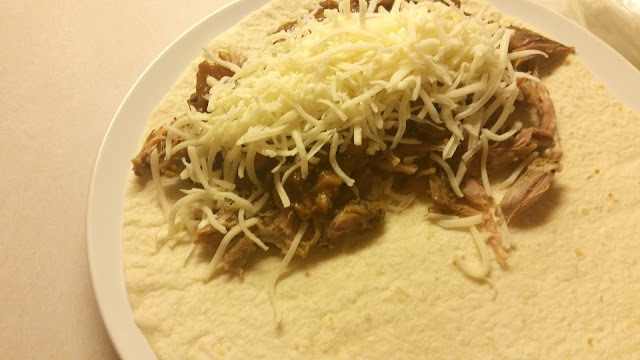 Place closed shell in the skillet and cook on both sides for approximately 4-5 minutes per side, until the shell and toasted evenly, the meat is warm and the cheese is melted. Cut into four triangles and serve with sour cream and sprinkled with chives.